She has been there and done that before, and Mark Jones is hoping quality pacing mare Rocker Band can bring her best form to the table when she takes her place in tonight’s (Saturday) $200,000 MacArthur Square Ladyship Mile at Menangle. 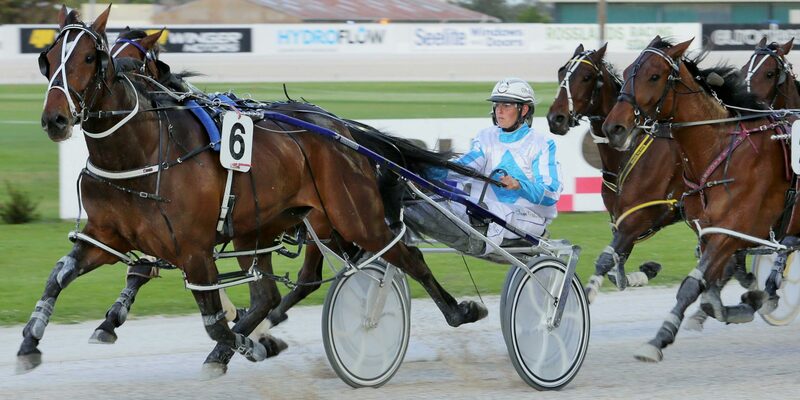 The Rocknroll Hanover mare was brilliant in winning her first Group One in the Harness Jewels at Cambridge in 2016, storming home off a tight spot on the markers to win in the hands of Sam Ottley. And Mark is hoping the aid of gate one over the mile at Menangle could see her return to the winners list at the top level, an encouraging run last time in the Canadian Club Stakes timely with the big one on the doorstep. “It is great to get a draw like this in a big race. We have set her for the race for a long time and to get a draw that can definitely help you win it, we couldn’t be happier,” he said. “She has had a mixed few months but all that could be put behind her if she could get up and win this one,” he added. The five-year-old has won $312,000 in takes and 12 races for Jones, her time on the track perhaps closing in but with good races for mares available in Australia Jones and owner Greg Brodie may be tempted to race her a little while longer. “I’d say most definitely she will go to the stallion this year but hopefully she can keep racing good until then,” said Jones. Victory would counter disappointment for Jones and Ashlee Grives who also set star pacing mare Delightful Memphis for the race but she was inexcusably left out of the qualifying races over the past fortnight, a bitter pill for all connections. Whittaker runs in the final event at Menangle, and after pleasing Grives since his cracking fourth in the Chariots Of Fire (pl 4; 1:49.54) he is a bona fide chance to win another.